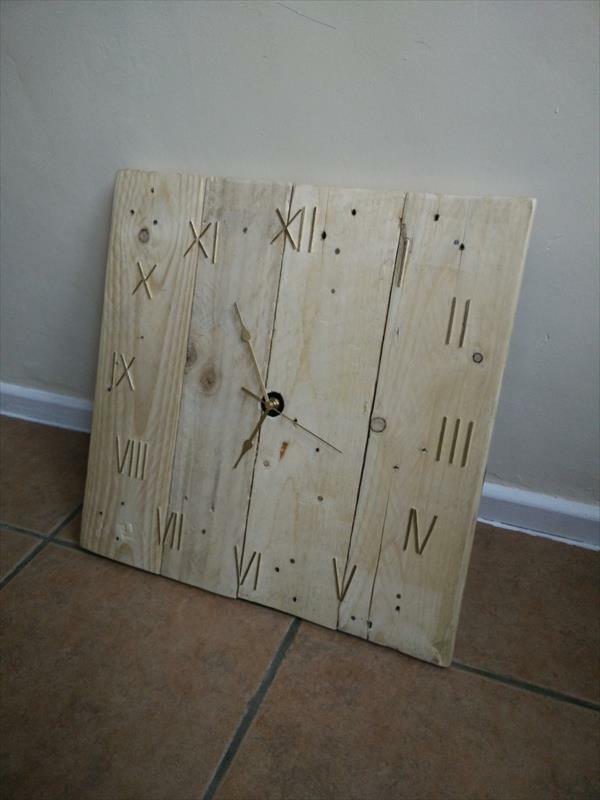 Pallet wood can be regained into plenty of useful things like wall art pieces, vintage inspired wall signs, table and shelve decors and also into amazing furniture pieces without which a home is unable to operate! 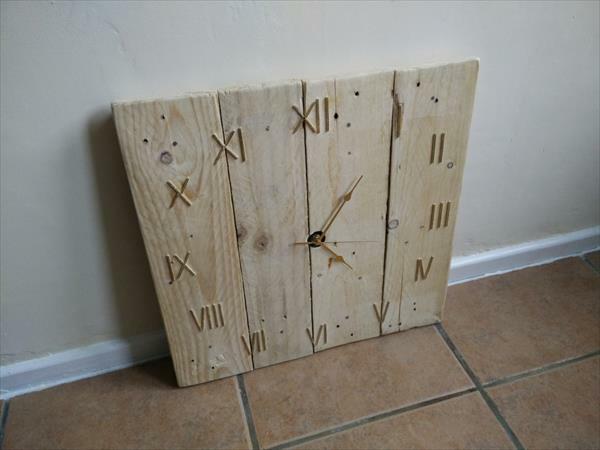 This time we are here with a time that can stay as both as a wall art and as utility wall piece! 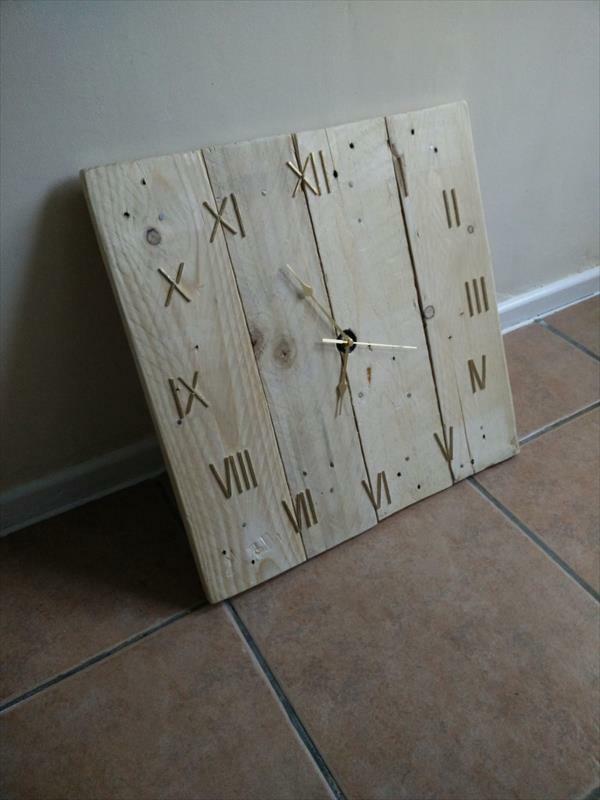 We are just discussing about this DIY pallet wood wall clock made of only with a few of separated apart pallet planks! To enable the time counting, quartz clock system has been used with golden look clock hands! Numerals also give that gold appeal and have been displayed in roman! This appreciated combination of rustic wood and metal is sure to please and will really compliment the interior home wall decors! Use the picture hanger or a wire loop at its back to install it on any wall area using some fixed supports like wall nails! 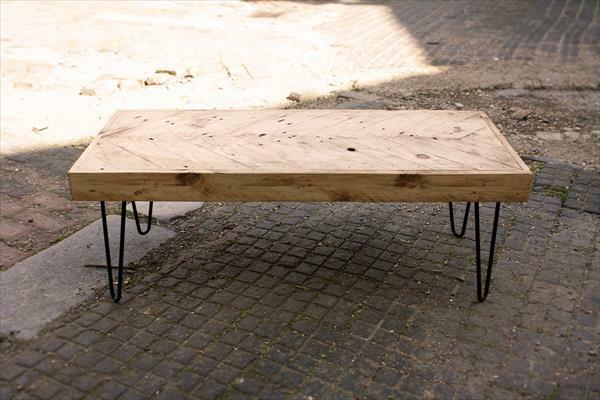 One can also make it painted if he want to be displayed in any other than this rustic appearance!